TUESDAY. I hope you all had a wonderful valentine's weekend. I'm not a massive fan of the overly commercialised day but i do like to make a little effort. If you read my previous post i had already decided to make chocolate dipped strawberries for dessert. So simple yet so tasty! 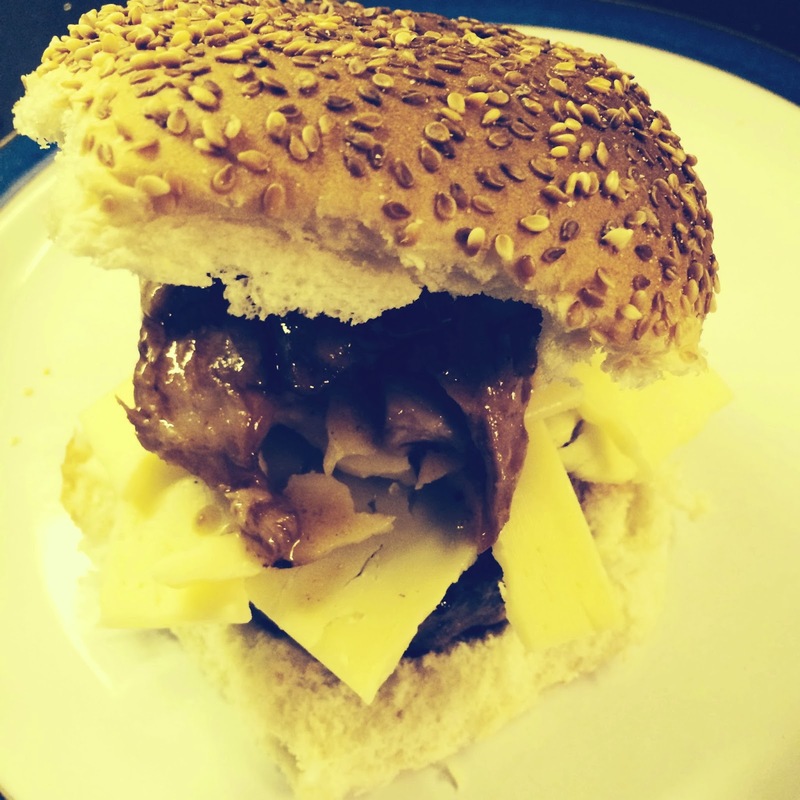 For our main i chose a recipe from The Londoner - The Rib Tickler - check out the recipe here. Basically burgers topped with the most delicious slow cooked BBQ ribs and drizzled with even more homemade BBQ sauce mmm! Definitely worth trying out! 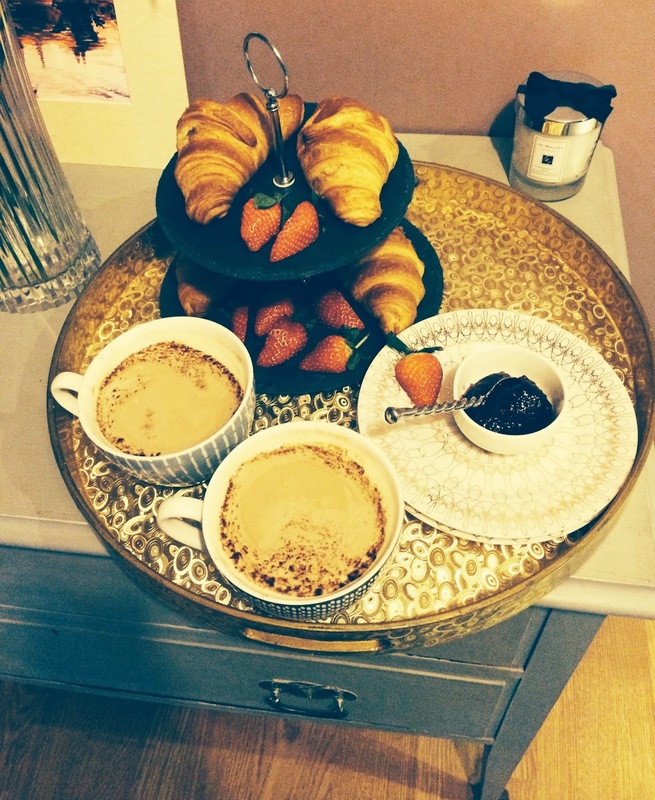 The following morning i surprised my love with breakfast in bed. I baked fresh croissants (i kid, more like good old m&s reduced fat variety) served with strawberry jam and followed by two massive cups of coffee. Like always, let me know how you spent your valentines in the comments below. I received my February glossybox this weekend which came in an adorable romantic box so i had to share this with you - have you received yours yet? I always forget that croissants are delicious with jam! I'm a sucker for sticking some chocolate chips in the middle & letting them melt into perfection in the oven. Gorgeous photos! Any recipe from the Londoner is a good choice!! Okay that food looks so good! 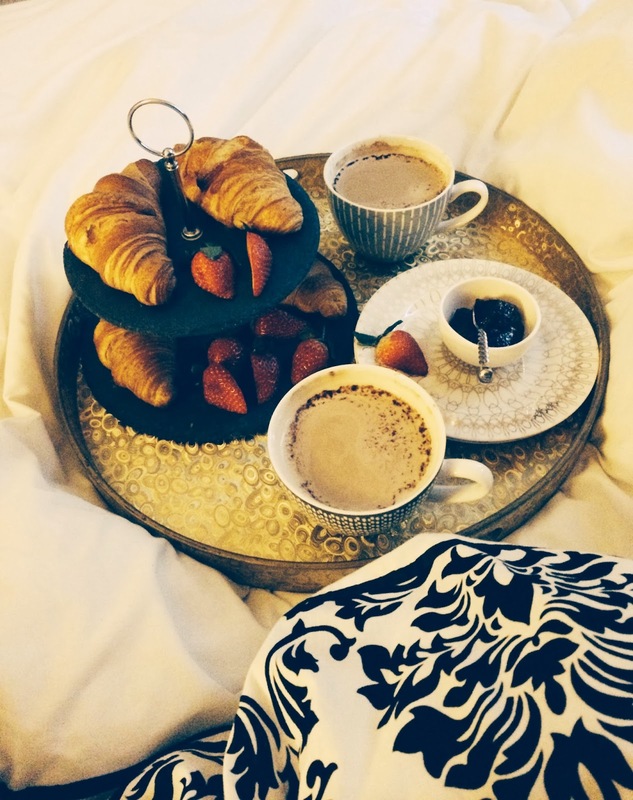 Breakfast in bed is such a fun surprise! Yoou've done well here. Rosie always have some excellent recipes. Yum!!!! You really know how to make me hungry. Love your pictures!! The Londoner always has the best recipes! Goodness, the croissants! The Londoner has so many lovely food stuffs!! Everything looks delicious! 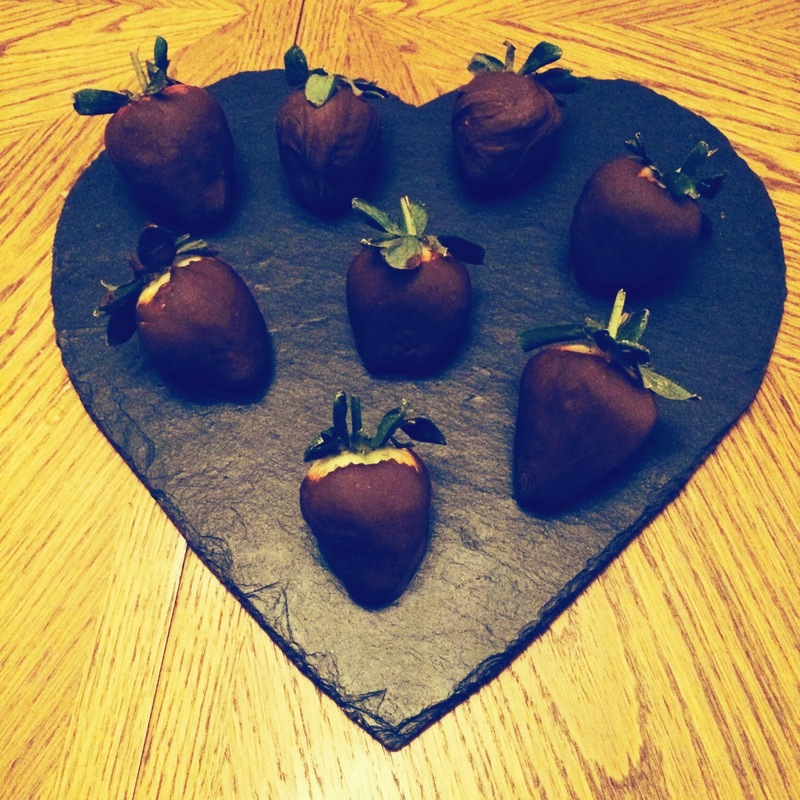 Especially the chocolate covered strawberries :) I hope you have a lovely weekend!